I learned about Lorraine Hansberry through the great songwriter, musician, performer and civil rights activist hero Nina Simone. Hansberry, a genius playwright who died at age 34, was one of the first people who inspired Simone to work for social justice and the rights of black people. Hansberry’s groundbreaking play A Raisin in the Sun is a brilliant, stunning work of art, as well as important social commentary on the oppression of minorities and the need for compassion that transcends human constructed barriers. 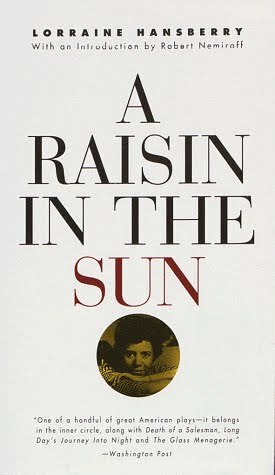 Such assets of literature are still highly relevant 55 years after A Raisin in the Sun’s debut. Hansberry asks the same questions as Hughes’ poem in A Raisin in the Sun, a drama both captivating and heart-wrenching in its realistic depiction of the lives of a hard-working yet impoverished black family living in cold war era Chicago. A Raisin in the Sun centers around the dreams each family member has for a better life—dreams that are hungry for progress & growth, desperate for survival & self-worth. Ultimately it is the communal, life-giving dream of the family matriarch, Mama, which brings understanding, strength, perseverance and dignity to a family hindered by circumstances–victims of racism, poverty and bad luck. The speaker, Mama, is an emblem of a family structure that holds love above all else, allowing self-respect and humanity to prevail. Hansberry’s play shows that amidst a world of hypocrisy, hatred and apathy, we can overcome the most daunting trials through love for one another, understanding, solidarity and being true to ourselves, our families, and a greater good. We may be broke and have nothing material in this world, but strength comes through maintaining dignity and being able to hold our heads high with satisfied minds.